The city of Newcastle, England is welcoming a 344,500 square-foot urban regeneration project dubbed Giants on the Quayside. Ths redevelopment site is on the banks of the River Tyne. Giants on the Quayside will be the site of several sports-oriented redevelopment projects, such as a virtual golf club, a climbing wall, a trampoline park, a toddler adventure area and affordable spaces to rent for cycling, five-a-side and tennis. 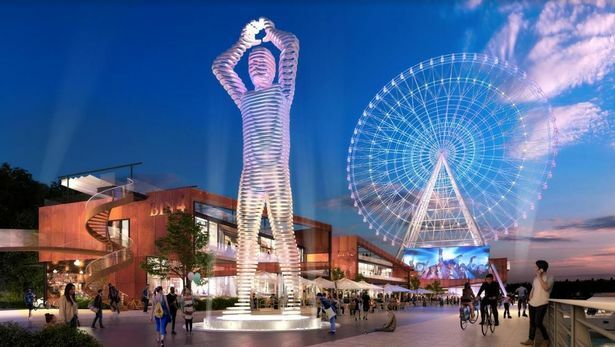 Attractions will include a 39-foot tall statue nicknamed the Geordie Giant, as well as a sprawling food and beverage area called the Giant’s Quay. For all that, the most eye-catching figure of the waterfront revitalization effort will surely be the 460-foot Whey Aye. 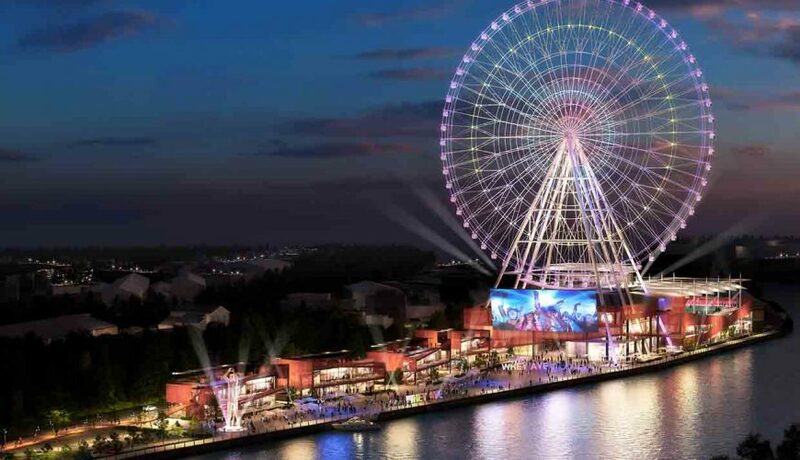 It’s taller than the London Eye by 16 feet, making it Europe’s tallest observation wheel. Golder UK is one of a team of nine picked by the World Wheel Company—a company known globally for building giant observation wheels and entertainment centers—to deliver this icon of the redevelopment. Along with planning partner Lichfields and other subcontractors, Golder is carrying out the environmental impact assessment (EIA) of the development’s effects on air quality, noise, ecology, landscape, archaeology and land condition. Work to be undertaken includes geo-environmental drilling and sampling, archaeological trial pitting, ecology surveys and air quality, noise and landscape assessments. The project team spans four offices and is working within an incredibly tight planning deadline; the entire project must be delivered in only a few short months. This is one of the UK’s largest redevelopment projects. After completing an initial small-scale Phase 1 geo-environmental assessment over the summer, Golder received the go-ahead to begin work on the full EIA brownfields project at a meeting in late September of 2018. 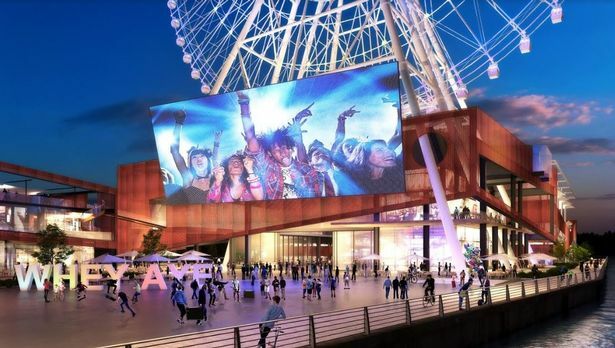 All renderings courtesy of World Wheel Company. Learn more about the Giants on the Quayside project in this Chronicle Live article. See World Wheel Company website.